Did not have the time to attend the recent motorshow? Fret not, here’s a recap of some of the cars that were launched. The new Audi Q3 is not only longer and wider, it also offers more technical refinements borrowed from their full-sized segment cars. Styling-wise, the new Q3 features what Audi calles its “Quattro Arches”, which delivers more visual girth to the car’s overall design. All variants will be equipped with a digital instrument cluster. 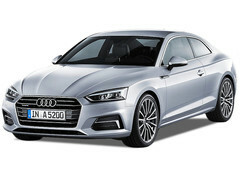 The new car utilises Audi fleet’s swarm intelligence to forecast the availability of roadside parking space, and also to provide crucial information about road hazards. Driver aids like adaptive cruise assist, which constantly monitors the speed of the vehicle in-front helps to keep the car at a safe distance, and also includes traffic jam assist and active lane assist; which aids the driver in keeping the car in control when cruise is set. 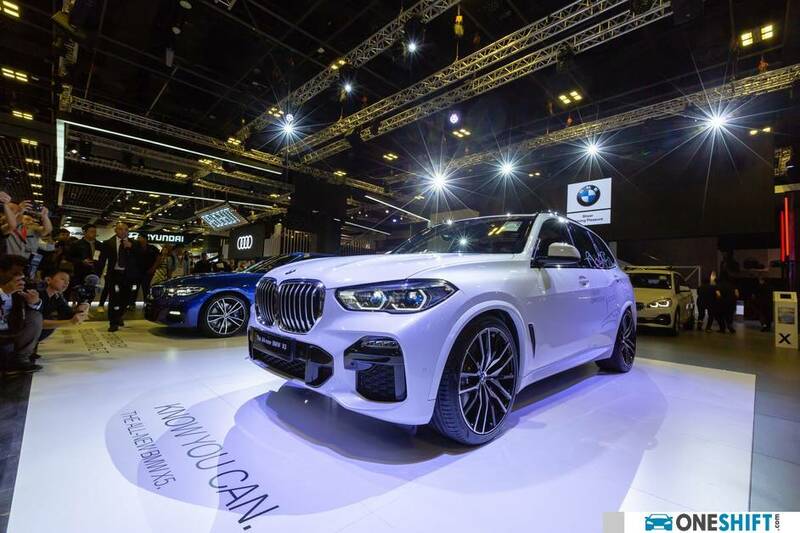 The car featured at the motorshow came equipped with their new 1.5 litre 150hp and 250Nm. The new engine features their cylinder-on-demand system, which allows two cylinders to deactivate during cruising speeds, for better fuel economy. 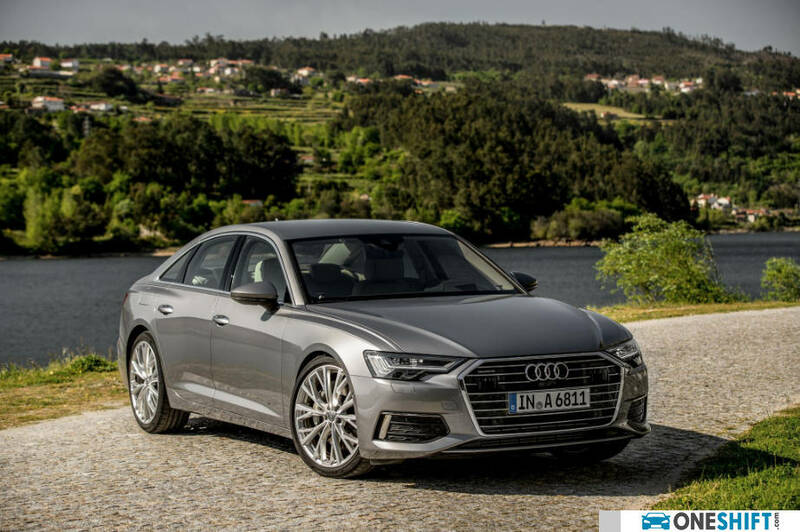 Audi’s new Executive Sedan, the A6 made its debut at the show. 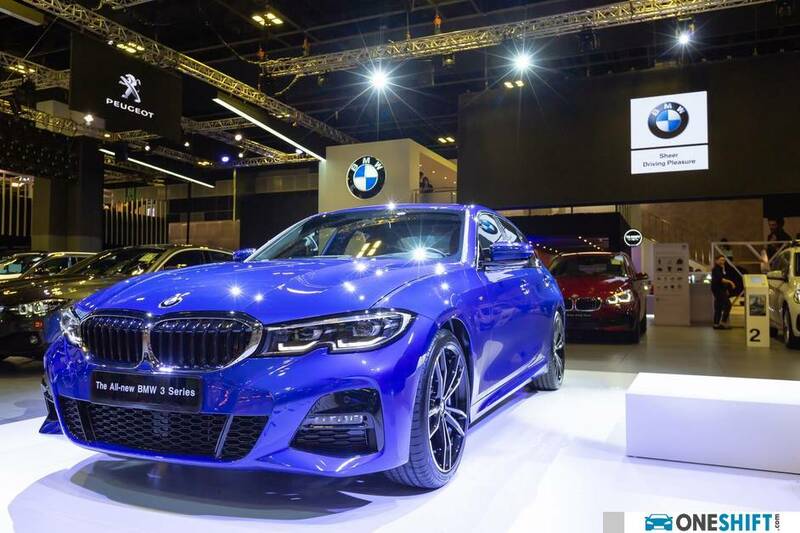 Dubbed the quintessential business sedan, their new “Exec mobil”, like a good number of cars in its class now features a 48V electric architecture and mild hybrid set-up to increase efficiency and driving performance. The new system allows the A6 to coast between 55 and 160km/h. 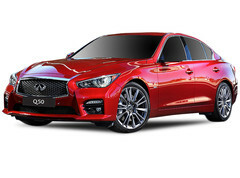 The sedan also has available dynamic all-wheel steering, which helps plenty around tighter spaces at lower speeds, and at high speeds, provides more comfort and stability to occupants during lane change maneuvers. A more comfortable suspension with damper control is offered as standard to the Singapore-spec A6 3.0. Like the A8, the A6 also carries on it the new Audi MMI touch response interface, pared to Audi’s latest iteration of their virtual cockpit. The system is highly customisable, with 27 available shortcuts for key vehicle functions available which you can place freely on the screen. Voice control allows users to adjust the temperature, and a wide range of vehicle functions. 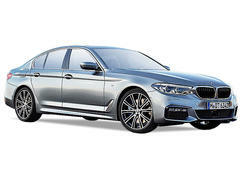 The new 3 Series now features an intelligent, digital character that responds to “Hey BMW!”. The BMW Intelligent Personal Assistant acts like an in-car concierge system which lets you toggle the temperature and the infotainment system, similar to how Google Home functions. The new 3 Series is also able to reverse to a distance of up to 50 meters, enabling drivers to back their vehicle out of tight spots. Like all new BMWs, the new 3 Series is tested at the notorious “Green Hell” for durability. The new car is larger, and features a low-slung front-end, and a sporty stance. In-fact, the car features a 10mm lower centre of gravity versus the previous one. The new car has also seen a weight reduction of up to 55kg, while the rigidity of its chassis has seen an enhancement. The stylised rear end carries BMW’s new design language in its tail lamps. On the inside, the 3 Series now features a digitised instrument cluster, which allows for an integrated map to be displayed, and complements the infotainment display unit. In its 4th generation, the luxurious new X5, which BMW likes to call a Sports Activity Vehicle (SAV) is larger than its predecessor, with a length of 4,922mm, some 36mm longer, and 2,004mm, 66mm wider. Its wheelbase too has been extended by 44mm to 2,975mm. Technological goodies like BMW Laserlight with Adaptive LED headlamps are available, and Dynamic Damper Control, with electronically controlled dampers enables the X5 to not only tackle the toughest roads, while providing excellent driving characteristics, the electronically controlled damping also helps to deliver a smoother ride. Drivers will also be spoilt by the new generation head-up display, featuring a new 7x3.5 inch projection surface, providing all the crucial information needed for the drive. The new infotainment cluster utilises a 12.3” control display, and like the 5-series, the X5 also benefits from gesture control. The available Parking Assistant Plus aids in parking with providing different exterior views of the car as you choose, while the new Reversing Assistant aids in backing the car out of tough situations, by taking over the steering and steering the car through the same path the car had previously taken. The French have their quirks, and the DS 7 Crossback is not an exception. 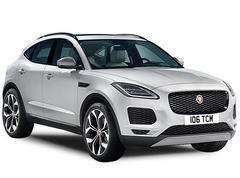 The luxury marque’s stylish crossover features a large imposing grille, and dynamically-styled body. 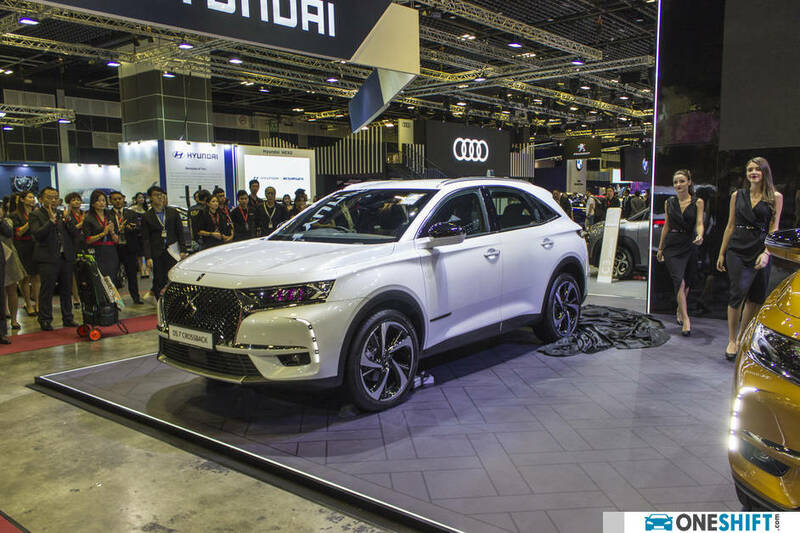 DS’s new flagship car features Active LED Vision, which resembles faceted diamonds set to swivel… A design feature taken straight from their concept cars. The system is built to adapt to its surrounding conditions for a safer drive. As a throwback to the original Citroen DS, the innovative Active Scan Suspension is inspired by Citroen’s legendairy hydropneumatic suspension system. 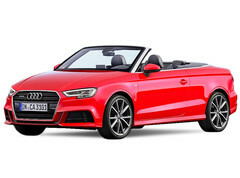 This new system however utilises a high speed camera, connected electronically to the front and rear axles, while data is collected from 4 height sensors and 3 accelerometers to gauge the car’s parameters such as speed, steering wheel angle and braking. The system then automatically adjusts the suspension to handle imperfections on the road. In echoing its ride plush, the DS 7 Crossback features a luxurious interior, with supple Nappa leather upholstery. Its centre console utilises two 12” screens and an exclusive B.R.M R180 timepiece sits proud on the dash. 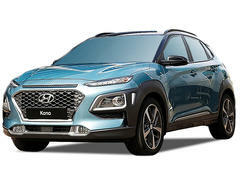 Inifiniti’s new QX50 is the first production car in the world to be equipped with a variable compression ratio engine. 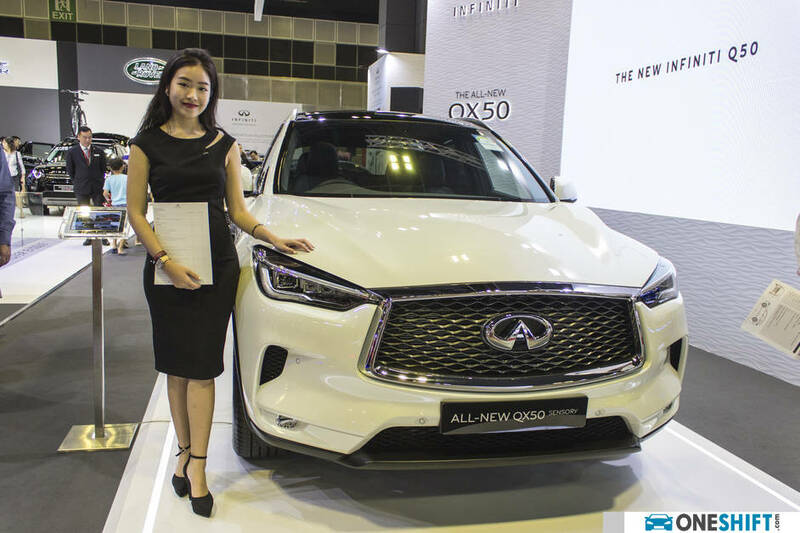 QX50’s 2.0-litre VC-Turbo continually transforms, and adjusts its compression ratio to deliver optimum fuel efficiency and power. Offering a ratio of 8:1 for high performance, and a higher 14:1 for better efficiency. Engine noise is further reduced, thanks to an Active Torque Rod (ATR), and with the help of a G sensor, the system creates opposite, reciprocating vibrations to match and cancel any vibrations made by the engine. Adding to the QX50’s smoothness, a CVT transmission is used for transfer of power to the wheels. The variable ratios works well with the new engine’s variable compression, to ensure optimum efficiency. The QX50 also features a “Wrap and Sew” technique, which best highlights the hand-crafted interior. A new damping control system maximizes body control and ensures a comfortable ride by isolating vibrations and reducing unwanted body motions. All-new brakes are engineered to deliver comfort and responsiveness, and provide confident braking in all conditions. 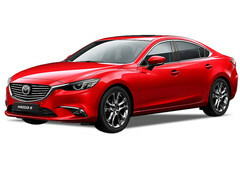 Mazda’s most popular sedan is back. 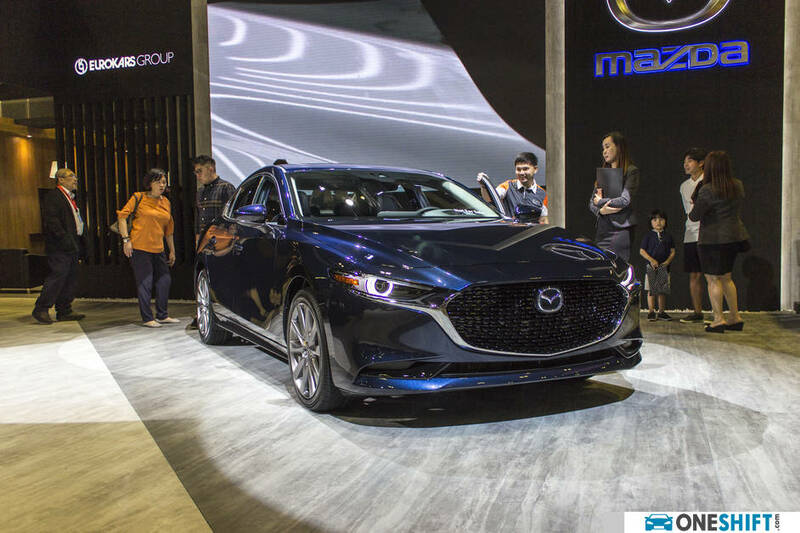 The new Mazda 3 takes Mazda’s signature Kodo – Soul of Motion design language further with bolder lines, and a more purposeful stance. The new 3 now features a new SKYACTIV-X petrol engine, and a set of structural technologies called SKYACTIV-Vehicle Architecture. 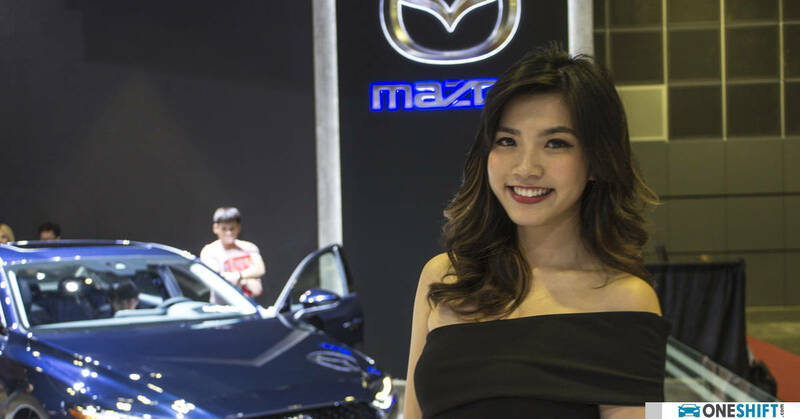 The new generation 3 paves the way for a new era of Mazda cars, which all will feature a premium and luxurious driving experience, thanks to the car being tuned to feature more neutral driving characteristics. 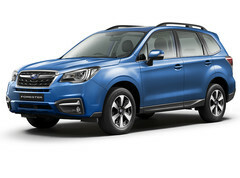 Hot after the launch of the new Forester, Subaru takes it a step further and releases their new Forester e-Boxer; their first foray into hybridisation. The new Forester is built on Subaru’s Global Platform (SGP), which is stronger and more rigid. Subaru’s new Hybrid architecture relies on a lithium ion battery pack that activates when driving at lower speeds to conserve fuel, and a conventional petrol engine that kicks in at higher speeds. Fuel economy impressive at 18.5km/l in combined cycle. We had an opportunity to take the new Forester through its paces during its launch in Taiwan, and the car delivers very good ride quality, while its Symmetrical All Wheel Drive System, together with its new, stiffer platform ensures that the car drives through challenging terrain with similar ease usually found on larger more purpose-built SUVs. The Camry has always been the towkay’s go to workhorse. 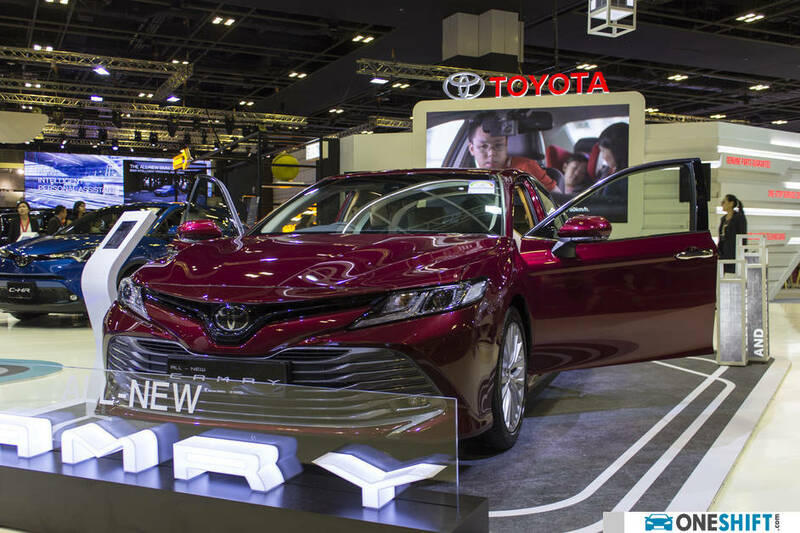 The new Camry though now delivers a car for the younger, or young-at-heart towkay in-mind. 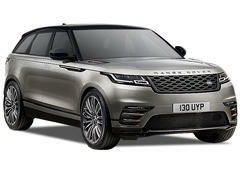 The new styling evoques a coupe-like silhouette. 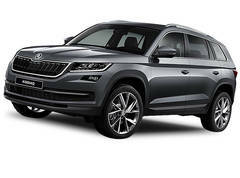 Two engine options are available, a 2.0 litre, mated to a 6-speed automatic transmission, and a 2.5 litre with an 8-speed automatic; both models like previous Camrys, are front-wheel drive. The more powerful 2.5 litre model also is equipped with Adaptive Cruise Control as standard. 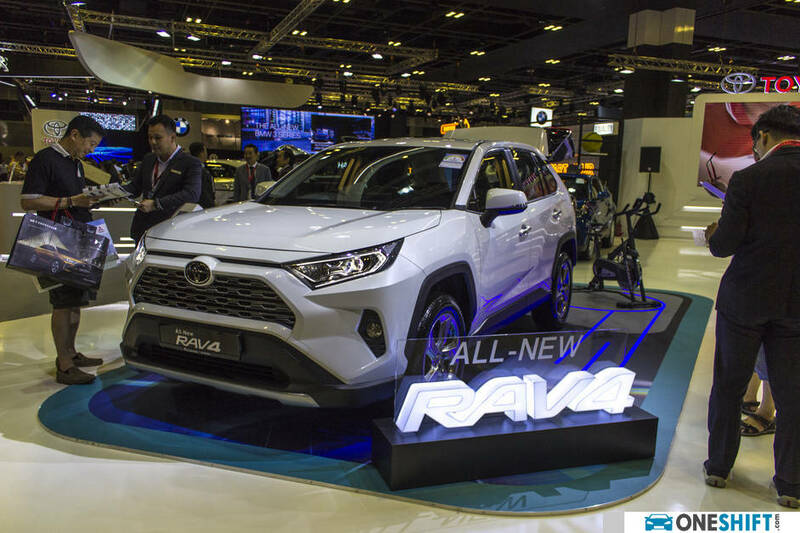 The new Toyota RAV4 has grown up quite a bit,. Featuring an octagonal silhouette with angular styling elements, even at the wheel arches. Toyota’s new SUV also promises best-in-class safety, with what they call, Toyota Safety Sense (TSS), an active safety package with a Pre-Collision System (PCS) which can detect pedestrians and cyclists, Dynamic Radar Cruise Control (DRCC) which maintains a safe following distance from the car in-front. Other safety features like Lane Departure Alert with Steering Assist (LDA) also ensures that the car keeps you safe by correctively steering you back into your lane if it detects lane departure. Its Automatic High Beam (AHB) system also makes it easier to drive on longer, less lit journeys. Under the hood, the RAV4 gets an all new Dynamic Force 2.0 litre engine, with drive provided with a new Direct Shift CVT transmission, which utilises a “start-off” gear for a more engaging and quicker take off. 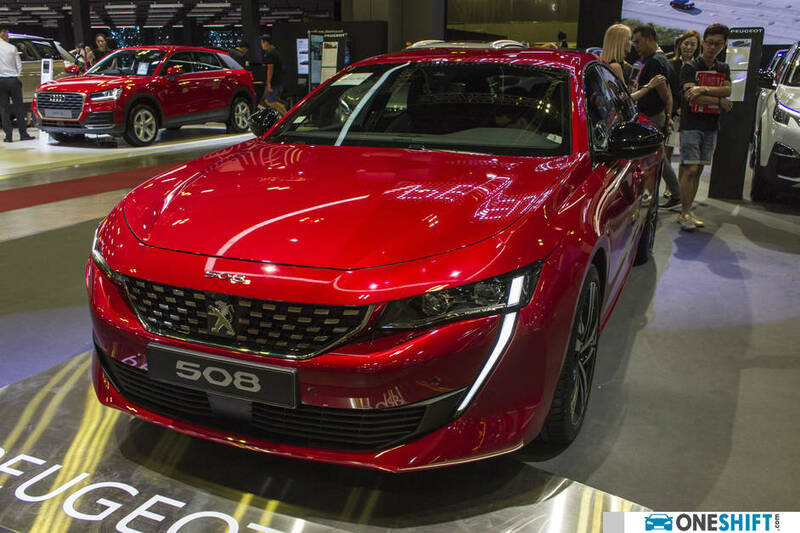 Expected in the 4th quarter of 2019, we got a sneak at the all-new Peugeot 508. The new car takes design cues from the Exalt and Instinct concept cars. Doing away with traditional sedan styling, the 508 now features fastback styling, a horizontal bonnet, lowered for an enhanced dynamic look. The 508 now measures 4.75m, slightly shorter than its predecessor. Peugeot has also indicated that their new car promises a premium ride, improved technology and a new engine. 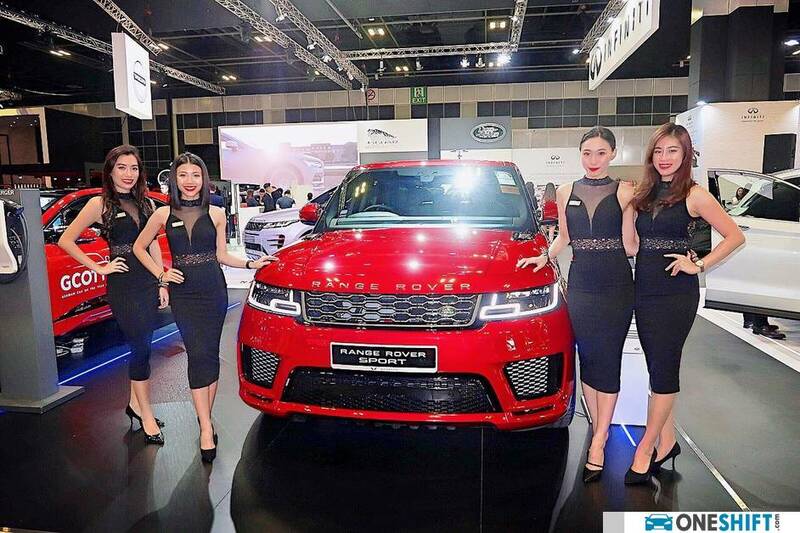 The new Range Rover Evoque made its appearance at the Land Rover booth. 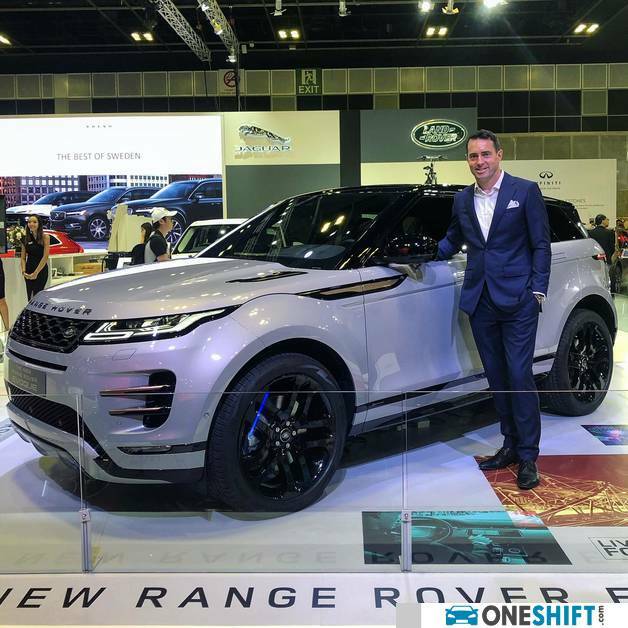 Slated to be available during the second quarter of 2019, Range Rover’s chic SUV’s design is an evolution of the original. 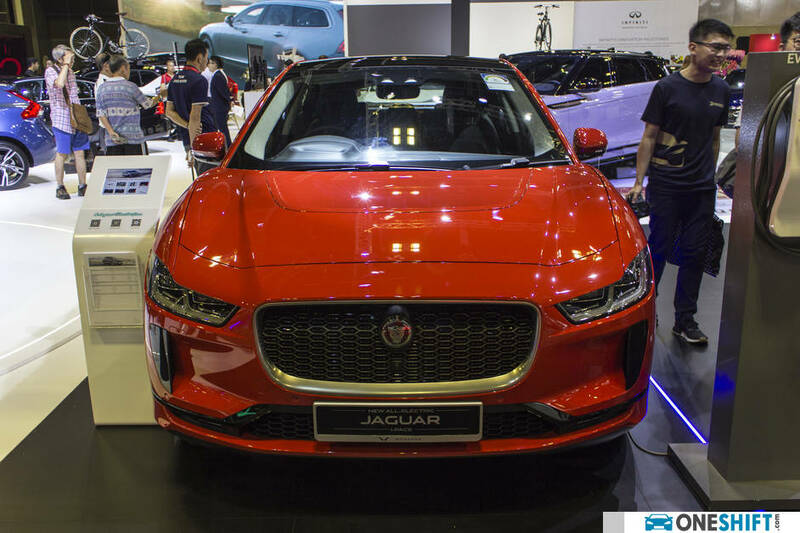 As a segment first, the new car will feature their ClearSight Rear-View Mirror that turns into an HD screen displaying a camera feed of what is behind the vehicle. The Evoque will also be equipped with ‘see through bonnet’ technology, allowing for ease of drivability when negotiating tight spaces, or even when driving off the beaten path. 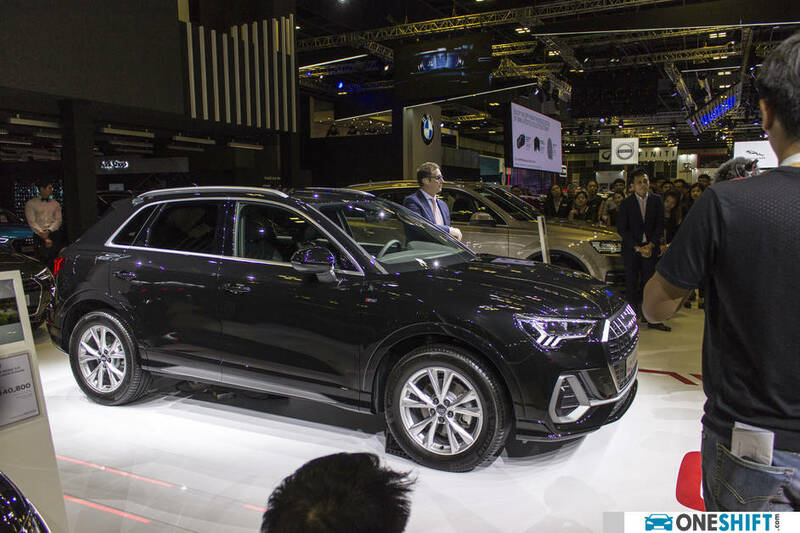 The last time this PHEV did something incredible, it was when it conquered the treacherous terrain of Tianmen Mountain for the Dragon Challenge in 2018 – 99 turns coupled with a towering 45- degree, 999-step staircase. Range Rover’s new Sport Plug-in Hybrid combines a 300ps award-winning Ingenium 2.0 litre engine with a 116ps electric motor. Acceleration is brisk at 6.7 seconds, while its 640Nm of twist is impressive. The Range Rover Sport PHEV takes just 2 hours 45 minutes to do a full charge, and in full EV mode, it is capable of distances of up to 51km. Probably the most un-Jaguar like of cars, the I-PACE looks larger than it does in pictures. Equipped with a 90KWh Lithium-ion battery, the I_PACE is capable of travelling up to 470Km on a single charge… A range which is relatively close to that of a petrol-driven vehicle. With 350,000 Porsche Macans delivered globally, Porsche’s compact sized SUV proves to be a very successful formula. The new Macan now features sharper design, while standard equipment has increased to include a new 10.9-inch Porsche Communication Management (PCM) touchscreen display, LED headlights with four-point day-time running lights and LED brake lights. 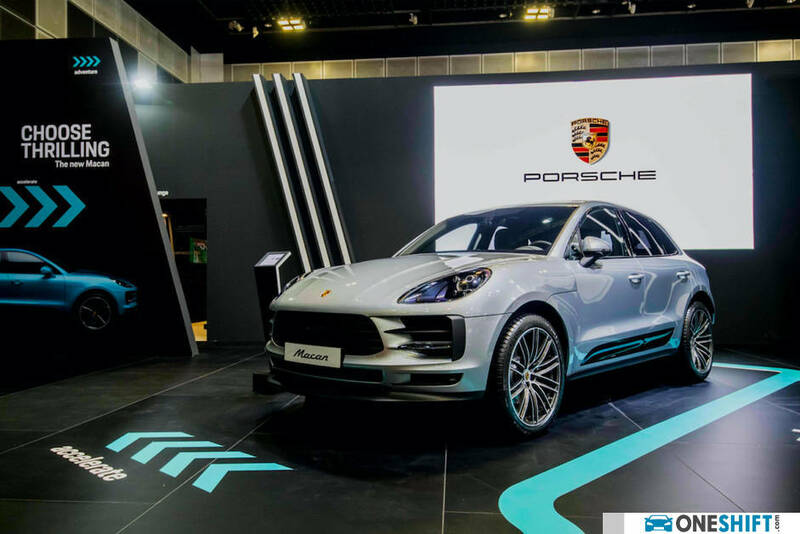 Powered by an efficient 2.0 turbocharged engine, which also features improved combustion chamber geometry, the Macan hits 100km/h in just 6.5 seconds with its Sport Chrono Package, while the Macan S, equipped with the same package hits 100km/h in a lightning quick 5.1 seconds.